We are constantly on the lookout for the next superfood, magical herb, or life-extending elixir that will improve our lives. Ginseng's health benefits are widely accepted and numerous. They are so universally agreed upon that the American varieties have been officially labelled endangered from increased demand. It is one of those ancient herbs which have been used for centuries by many different cultures. It has been used to improve the quality of lives and help aid in every illness. So what are the ginseng health benefits and how can it make your life better? Ginseng is a powerful and widely used medicinal herb. It’s a part of the Panax family, literally meaning “All-Healer” in Greek. It grows in the Northern Hemisphere only, and while there are two variants - an Asian ginseng and an American ginseng. There is a third 'unofficial' ginseng variant: Serbian Ginseng. It is not a true ginseng but has many common traits with the Asian and American varieties. As a result, it is often lumped in with the other two. Asian ginseng is considered the most powerful. Unlike the wild ginseng variant used by our ancestors, nearly all of the root that you'll find in ginseng supplements today is grown on farms. Ginseng has been used in Chinese medicine for over 5,000 years. As its original Greek name suggests, it has been used to help with every ailment. Whatever way you want to take it, chewing the ginseng root, brewed as a ginseng tea or in your REIZE energy drink, it’s going to be beneficial to your lifestyle and your overall health. So you might be wondering, what is ginseng good for? There are almost innumerable ginseng health benefits. There's a reason it has been adopted by cultures around the globe for centuries. Like many superfoods and herbs, it is attributed to many cures and health benefits. There are studies to show that ginseng's health benefits include being able to fight illnesses like diabetes and even cancer. While it is known as being an 'All Healer' don't put all your hope for a cure in one herb. Ginseng is not so much a cure-all as a prevent-all. It is a strengthening tonic herb taken to rejuvenate and revitalise the body. How is It a Healer? Panax ginseng or Asian ginseng, also known as Korean or red ginseng is considered to be the most reliable. It contains the highest percentage of overall ginsenosides. Ginsenosides are the compounds in ginseng that are believed to contribute to its wide-reaching medicinal properties. These compounds have been shown to have multiple medical effects such as anti-oxidative, anti-aging and anti-cancer properties. Ginsenosides are thought to be found almost exclusively in the Panax species, concentrated in the plant’s root system. For that reason, it is often 'poached' as the National Geographic calls it. Demands for the all-healing root have been at an all time high. As a result, poachers now threaten its survival. The plant is so popular throughout China that many of the native Asian species are now extinct or severely endangered. It now appears that the American varieties may be following them on the road to extinction. Rangers are actively trying to prevent people illegally harvesting ginseng in the Smoky Mountains national park. They are scouring the forests and marking the plants with a powder. This special substance contains tiny GPS chips. This enables officials to determine where the ginseng came from. It also means it can be used as a key piece of evidence in court cases. It also glows “like a lit cigarette” under a black light. That is how serious people take this stuff. People are being arrested for picking it in the park. Be happy you can enjoy its benefits from an energy drink. You didn't have to trek through mountains and dig up a root for it! There's a reason it is so valuable and coveted. It really helps. To be fair to the sceptics out there, it is true that more studies need to be done. And there are potential side effects, like with any substance from nuts, to gluten, to pollen and more. Not everyone is going to react to every plant and herb the same way. For instance, if you are sensitive to caffeine, having a triple shot latte is probably not a good idea. Likewise, if you have a food allergy it's important to inform people and keep an epi-pen handy. But for the most part, ginseng has been attributed to helping people fight and prevent numerous diseases, conditions, and more. Ginseng helps to control blood sugar levels which can help diabetics to better manage their condition. In addition, as a natural appetite suppressant, ginseng is often administered by nutritionists to help patients overcoming obesity. Ginseng has been linked to improved physical strength; including the support of proper organ function, cleaning the blood and enhanced joint and bone health. This is helpful not only for those seeking optimum wellness but for patients fighting cancer and other blood diseases. Ginseng really is earning its reputation as a Healer of All. In addition to the numerous physical benefits, users of Ginseng also advocate its use for the root's multiple mental benefits. Similar to substances like caffeine, ginseng is considered to support improved concentration, logical reasoning, memory skills, and reduce fatigue. It has even been suggested as a natural remedy for depression. A Mayo Clinic study revealed that ginseng showed good results in helping cancer patients with fatigue. Combined with the caffeine in your REIZE, ginseng can give you a real boost. Perfect for when you need energy most. Such as before or after a workout, or as a morning or afternoon pick-me-up. 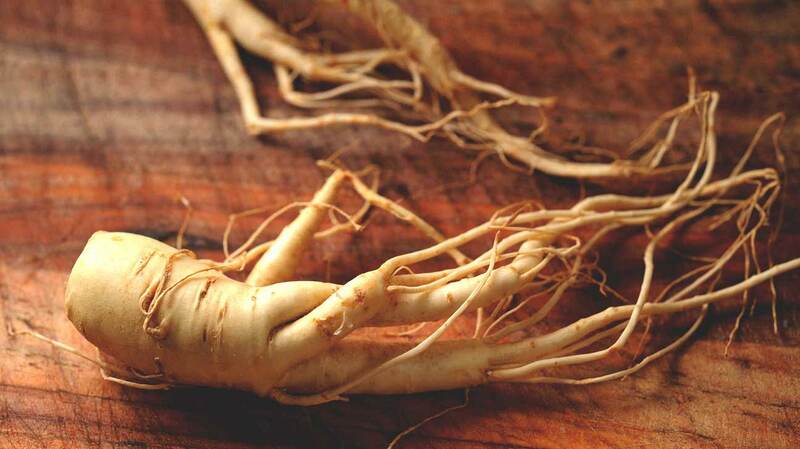 Ginseng could perhaps be considered the first all-natural erectile dysfunction medicine. It has been used in many parts of Asia centuries before the little blue pill even existed. A 2002 Korean study revealed that 60 percent of men who took ginseng noticed an improvement in their symptoms. Research published in the British Journal of Clinical Pharmacology provided "evidence for the effectiveness of red ginseng in the treatment of erectile dysfunction". In addition to its libido-boosting abilities, ginseng is also thought to support prostate health, and protect against heart disease. So there's one way it can help you REIZE to the occasion (couldn't help it). As we mentioned earlier in this article, the antioxidants found in Ginseng extract have great anti-ageing properties. Not having to worry about wrinkles isn't the only blessing you'll discover. For women, ginseng benefits can show in improved hormonal balance. This can have a positive impact on your mood, and ease symptoms of PMS. Including symptoms like bloating, pain from cramps and weight gain. Some practitioners claim that ginseng can address infertility issues. Not only by helping to regulate a woman's cycle, but also supporting a healthy libido. Ginseng helps athletes increase their effective oxygen usage and it is believed to regulate metabolism which increases energy levels. It also lowers recovery times, so you’re back out on the field sooner. For this reason, it is often an ingredient in energy drinks, such as REIZE. 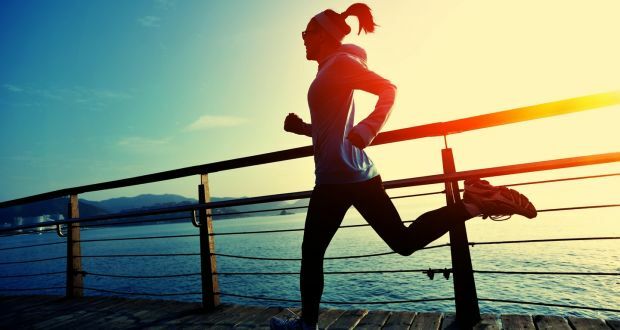 But even if you're not a serious athlete, you can still benefit from the increased stamina and energy levels. Who doesn’t need a boost to fight that afternoon slump? Look younger, feel younger. Ginseng is full of anti-oxidants which slow the signs of ageing and stops the formation of free radicals. So you’re fresh-faced for longer! With all of these advantages, it's no surprise that people who use ginseng claim to be happier. As well as feeling physically better, than the poor ginseng-deprived souls. What other (legal) substance can you think of that offers so many benefits? Increase your sense of well-being and enhance physical stamina with ginseng. It even enables you to be able to withstand environmental and emotional stressors. We think you'll agree that ginseng does a body good. Plus, the ginseng can help you fight off infection and reduce stress. You can’t help but be happier with ginseng in your life. But you better get it while you can! Ginseng's list of health benefits is seemingly unending, but the supply of ginseng might be on the way out. As mentioned, the American Ginseng variety was labelled as threatened and possibly even endangered. Now you may have a better understanding of ginseng health benefits, but do you know how to take it? Should we worry about you roaming the Smoky Mountains with a blacklight to find a marked root? If you even found one, would you know what to do with it? We'd argue, probably not (to all questions). Like its many health benefits, ginseng can be consumed in numerous ways. Here are just the most popular: Capsules, Powders, and Tea. Ginseng tea, just like ginseng supplements and extracts, is used to improve your mental power and memory. You can sometimes buy ginseng tea bags from your local food store or tea speciality store. However, making it yourself from the root of the plant is the most beneficial form - And also grants you the biggest bragging rights. You can use the fresh root, but this may be hard to find unless you are friends with Big Foot. So alternatively you cold use powdered ginseng extract or dried root works too. You can purchase ginseng extract at most health food stores and even supermarkets like Coles or Woolworths. Like turmeric, it can be added to warm beverages for an added boost. In Chinese herbal medicine, practitioners recommend that adults over 40 drink one cup of ginseng tea every day. To make the tea, start by peeling the root if you are using it. Take 1 tablespoon of root shavings or the powdered root, and put it into a metal tea ball or filter. Bring water to a boil, and then turn it off — letting the water cool for 2–3 minutes. Pour the water into a tea cup, and sink the tea ball or filter into the cup; Let it steep for 5 minutes or longer. After drinking the tea, you can even eat the ginseng shavings to optimise the health benefits. Or if you are simply craving a healthy snack. REIZE is a tasty powdered drink mix that contains the best energy drink ingredients. Each ingredient is specially selected to keep you on the top of your game. Ginseng health benefits are not the only reason to consider trying REIZE. Learn the benefits of all of REIZE's ingredients: caffeine, taurine, B vitamins, and riboflavin. Ginseng in combination with the rest gives you the optimum boost so you can perform better every day. What are you waiting for? Buy REIZE & experience the difference for yourself. No jitters, no crash - just a sugar-free performance enhancement you can count on.